Britannia and Eve magazine June 1936 p.25. It can truthfully be said that nowhere, outside the Government Schools, are such facilities available as are offered by the Central Gas School of the Legion of Frontiersmen. Topic June/July 2017. We covered the Legion’s work in anti-gas warfare to a certain extent in GAS!!. Further research recently has shown the extent of the fear – almost terror – of chemical warfare being carried out particularly against Great Britain. 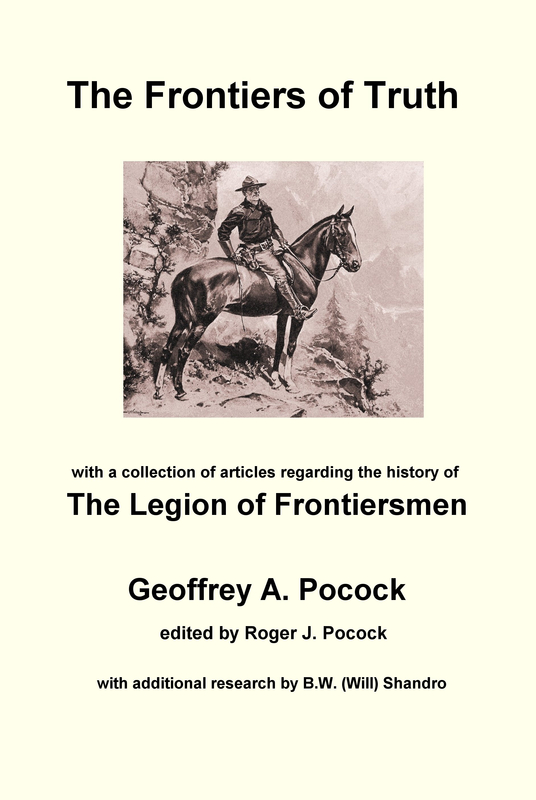 This has encouraged us to expand the story of what the Frontiersmen were doing to support the general public and give them advice and help. The use of chemical warfare in countries such as Syria and the warnings that terrorists might attempt to use small scale chemical weapons make this story even more topical. In the years leading up to World War 2, the extraordinary knowledge and skills of the Frontiersmen in dealing with chemical weapons is something which needs further explanation. The story applies mainly to Great Britain as planes had not then been developed with the capability to easily cross large oceans and return. Mrs J Gubbins, a Kensington Councillor it is reported has stated, “I’ve travelled a lot abroad lately – and wherever you go they are working overtime at the manufacture of gas for War purposes. …Gas Masks, Decontamination Suits, Oxygen Breathing Apparatus, Charts, Visual and Smelling Sets, Asbestos Suit. All the best standard books on Gas Warfare and A.R.P. have been purchased and are available for reference. A complete set of all the Home Office publications, including Memorandums etc., are held and copies of new issues purchased immediately on publication, so that the school is kept constantly up-to-date. Even books written against A.R.P. are purchased and studied, so that instructors are not only cognisant of what is stated therein, but are prepared to answer. In addition a unique collection of photographs has been obtained. These have proved invaluable as authentic reference. The German publication “Die Sirene” is subscribed to so that instructors are informed of what is being done abroad. The Central Gas School have undertaken and completed with success the training of the staff of a well-known Government contractor. Lieut. Bushell, the officer in charge, has been selected to attend an extensive course at Porten [probably Porton Down in Wiltshire], his qualifications making it unnecessary to take an examination first. He is at present training the staff of the R[oyal] A[rtillery] Records Office at Sidcup. 2nd Lieut. Gunn has rendered inestimable service to the Legion. Samples of all the latest Gas Masks – German, Italian, Russian, Chinese, Dutch, etc. are regularly provided by him for inspection. His expert knowledge is a great asset. Strict discipline is maintained and enthusiasm is great. All dues to I.H.Q. are paid. There is a credit balance. Accounts are audited by three officers and certificate sent to I.H.Q. All this has been achieved without one penny grant from I.H.Q. funds, the school being entirely self-supporting. Much has been done by the school to uphold the prestige of the Legion. As can be seen from the illustration, 2nd Lieut. Gunn designed and made an asbestos fire-proof suit. In those days nobody was aware of the serious harm to the lungs caused by asbestos. An advertisement in “The Frontiersman” magazine shown here illustrates the different gas masks that were available. What has not been publicised is that the main gas protection agent in the masks was also asbestos. Eventually every citizen of Britain was issued with one and ordered to carry it around with them in its box. There were “Mickey Mouse” ones for children. Those of us who were around at the time recall the unpleasantly strong rubber smell of them and how difficult it was for a child to breathe through them. Nobody was aware that they were breathing in dangerous asbestos which could have an effect in later life. The main public concern was that most families could recall the horror of gas warfare of the First War and the men who came home with their lungs ravaged by gas fumes. The advertisement from a Derby newspaper shows the concern – and how some firms were able to profit from it. Gas mask advertisement which appeared in copies of “The Frontiersman” magazine. What happened to this deadly store? It was sent to the coast and loaded on board a ship, crewed by Germans, and dumped into the sea 200 fathoms deep not too far from the Channel Islands. Although the shells were of three-quarter inch steel it was estimated that even this would corrode in some 200-300 years time. Possibly an environmental time-bomb for some future generation. Will today’s terrorists try to use chemical weapons and if they do, will they use the more modern gases or the simpler older ones? The Legion still has full training details archived on how to deal with those older gases, but not the modern complicated lethal ones. We must hope that none of this will ever happen. Advertisement from a Derby newspaper. ¹ “The Times” May 24, 1935, p.8. ² Quoted in “The Frontiersman” January 1939, p.9. ³ The British Government set up the Civil Anti-Gas Schools. Their name was later changed to the Air Raid Precautions Schools and the duties became more generally air raid precautions. ⁴ “The Frontiersman” March/April 1939, pp.18/19. ⁵ “War Illustrated” October 12, 1945, p.378.